Spot A: This is a convenience store/gas station. We suggest parking in the back and/or on the west side so as not to interfere with their customers. It’s a good spot for morning arrivals as it is just east of RWY13. Some aircraft will use a straight approach while others may bank right out in front of you to line up. Either way you can achieve some good profile shots. 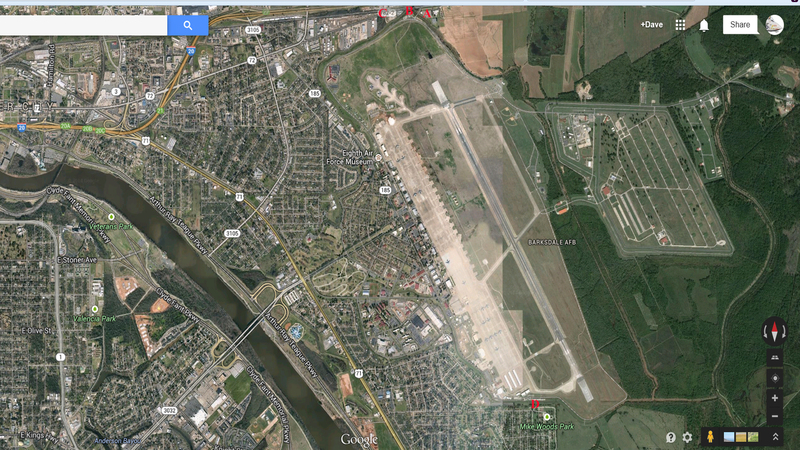 Spot B: Just like the gas station, this too is east of the runway and good for morning arrivals. 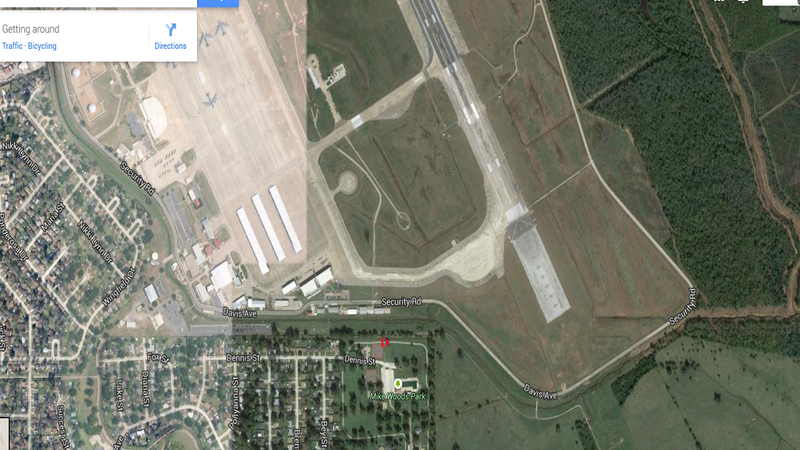 However, we feel it is better as you have a good view of the field and can catch the a/c just before they touch down. 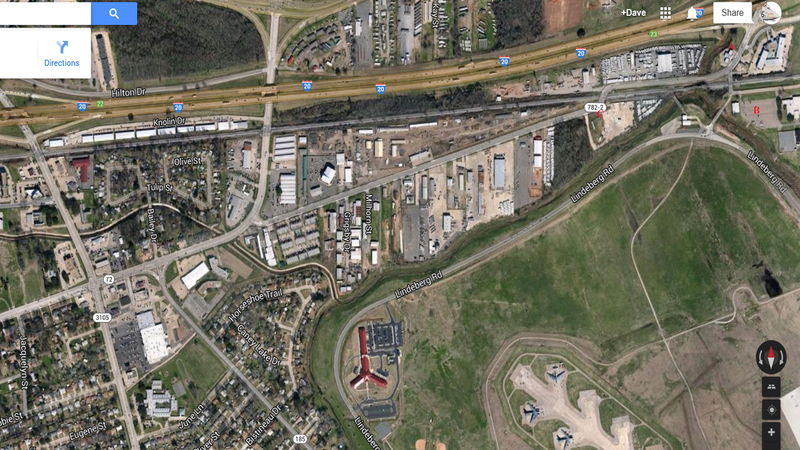 Spot C: For afternoon arrivals there are a few spots along Industrial Drive just west of the RWY where you can park. Just be mindful as to where as there are business along there and some of the road shoulders are more narrow than others. Spot D: From HWY 71 turn on to Shady Grove Drive and follow it around until it t-bones with Dennis Street. Turn right and follow in to Mike Woods Park. Once there, you can park in one of the lots and walk up to the tree line on the north side. It’s not the best place to spot since you are dealing with trees to the east and south-east, but you can still catch arrivals before they touch down through some of the openings.